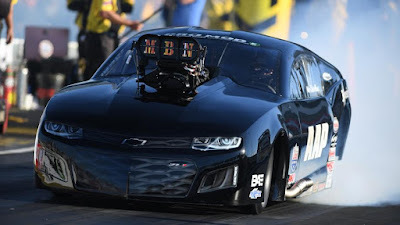 Home > ADRL > OutLaw > Doorslammer slams its door right after launch!! Doorslammer slams its door right after launch!! Door-slammer slams its door right after launch at the ADRL! 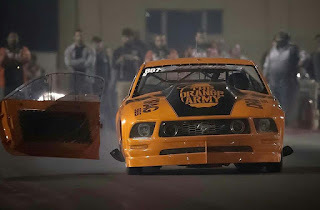 The Orange Army Out Law 10.5 Ford Mustang ejected its door at 60ft just in time after the boost kicked in. Driven by Kuwait Abdulwahab Saleh who left the throttle after the door flew away at the Qualifying of Round 4, walked away from the minor incident with much to repair for the first elimination of round 4.Watch the Video Embedded Below,as the door flies away from the car. Luckily nobody was standing too close to the track to get hit. Johnny Sebastian -Your only job was to do what? Nelson Rivera Virola -Weight Reduction Button!! Go!!! Door cars in GCC continue to be the real deal. Teams in Bahrain, Qatar, Kuwait, UAE have excelled in this extreme sport and attracted sponsors, supporters from within and abroad. 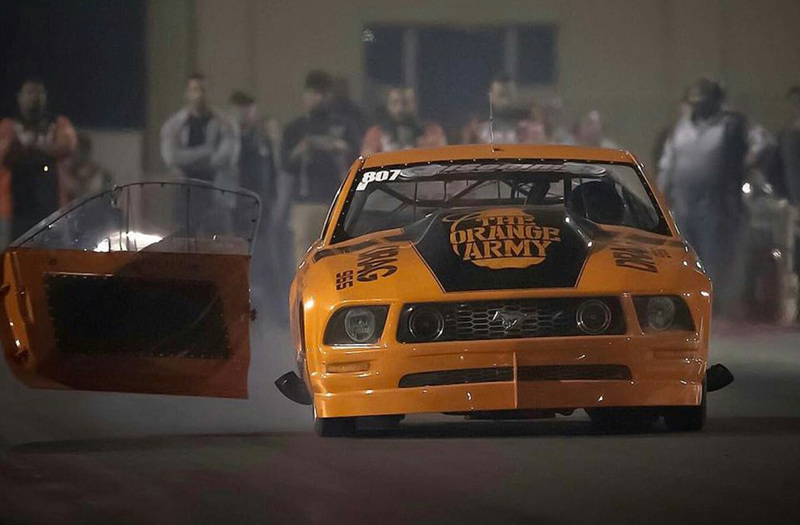 The Kuwait Ford Mustang registered some blistering passes after the door incident and still remains one of the fastest outlaw cars in the Middle East. ADRL is an annual event organized by Qatar Racing Club under the patronage of HE Sheikh Khalid Bin Hamad Al Thani often referred as KH and patron in drag racing. Saleh Abdulla Almeer is lifestyle and automotive photographer in Qatar and captured this breathtaking image! Ford Mustang ejects its door right after launch! !